Your community. Your issues. Your news. 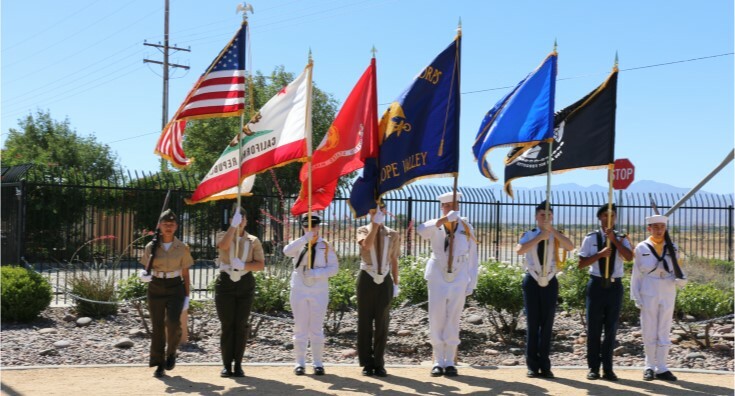 PALMDALE – The city of Palmdale will host its annual Flag Day Celebration this Thursday at Joe Davies Heritage Airpark at Palmdale Plant 42. The event will begin at 9:30 a.m. Thursday, June 14, at the Airpark, located at 2001 East Avenue P in Palmdale. This event is free and open to the public. It will include a welcome by dignitaries, presentation of colors, invocation and benediction, posting of the Colors, Pledge of Allegiance, a “What the Flag Means to Me” ceremony, recognition of the military and closing remarks. Part of the festivities will be the announcement of the winners of the Flag Day Essay Contest. Free to enter and open to all ages, the contest required participants to create an essay on “What the Flag Means to Me.” Winners will be announced in the following age categories: Elementary (Grade K-5); Middle School (Grade 6-8); High School (Grade 9-12), and Adult. Complimentary refreshments will be served as part of the Flag Day Celebration, and guided tours of the Airpark will be available. For more information on this event, call 661-267-5611.